Give your marketing plan the red carpet treatment with this template reminiscent of Old Hollywood Glamour. Share compelling information without sacrificing style. Featuring 41 customizable slides, the template allows you to easily create an award-worthy marketing presentation. 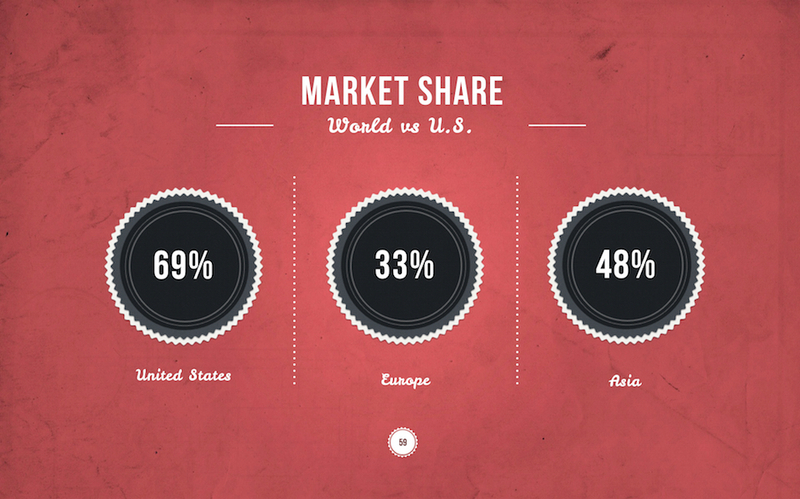 Update stunning charts, graphs, and infographics with your own content. Adjust the size and color of the 40 vector icons included to complement your presentation. 41 unique presentation slides designed by professionals that you can easily edit and fill out with your personal content. 40 icons are used in this template which you can flawlessly move, resize or change colors throughout your presentation slides. What's included in Red Carpet Keynote Template?